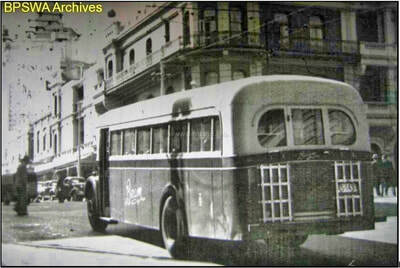 Beam Transport Ltd, whose services ran out of depots in Redcliffe, Perth and Fremantle, added 3 heavy duty diesel chassis AEC Regal III buses to their fleet in 1949. One, No 47, was a 41 seat bus with two passenger doors. It had an AEC A208 9.6 litre 125hp 6 cylinder engine and a Wilson Pre-Selective gearbox. Two, Nos 48 & 49, were 34/35 seat buses with one passenger door fitted with the less powerful AEC A173 7.7 litre 95hp 6 cylinder engine and constant mesh (aka, 'crash') gearboxes. No 49 had a 'horizontal' emergency rear window and an extra seat, rather than a vertical hinged emergency door at the back. Nos 47 and 49 were bodied by Boltons of West Perth with steel framed bodies, built under licence from Commonwealth Engineering in Sydney, using their standard patterns. No 48 was bodied in Beam’s own body shop in Bazaar Tce (Mounts Bay Rd) Perth with a timber framed body. The two styles were noticeably different. No 48 is purely Beam in its appearance, with its rounded driver’s window on the cab off-side, the distinctive rear windows and emergency door and the unlined, exposed rib interior ceiling. 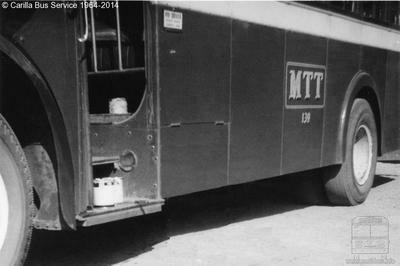 Bob Pickering, the Beam body shop foreman, was a pattern maker by training and had a good reputation for producing bus bodies. He had considerable freedom in the way he built them and few turned out to be identical. Often, the workshop utilised whatever materials and parts were available in the post War market. Beam 48 went on the road in November 1949 at an estimated cost of £5,500. 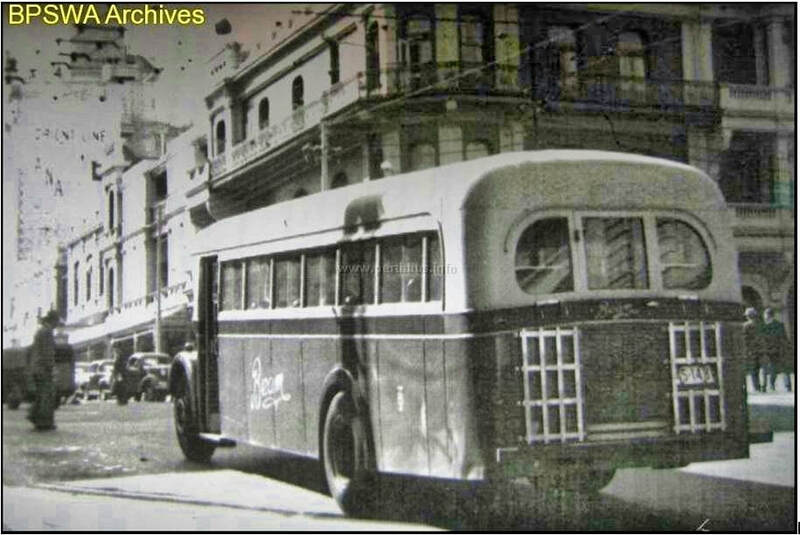 A rare photo taken in William St. might indicate it was allocated to Beam’s Perth Depot in Bazaar Tce, and ran on their Western suburbs routes to Graylands/Cottesloe and Fremantle via Mosmans. No doubt it saw service on Beam’s Eastern routes to Belmont, Redcliffe and Midland, also. Simultaneously, Beam was running Alpine parlour cars between Perth and Fremantle along Stirling Hwy, and servicing Mandurah from Perth and Fremantle with a semi trailer and a specially allocated Reo bus with semi coach seating. A major development occurred in late 1951. Following protracted negotiations between the Metro and Beam Boards of Directors, Beam’s western services were merged with the Metro services and their Perth and Fremantle depots were taken over by Metro, along with some 18 buses, many of them old and quickly sold off. Beam’s operations were consolidated at Redcliffe and No 48 became part of the revamped fleet of 28 buses plus 5 spares needed to run Beam’s Eastern services covering the Belmont, Guildford, Swan Valley and Mundaring districts. The next major development occurred in August 1958 when Beam Transport Ltd, along with Metro Buses Ltd, was taken over by the newly created Metropolitan (Perth) Passenger Transport Trust [MTT]. The two companies became the founding fleets of the new organisation. Bus numbers in the Metro fleet were retained and the Beam fleet was added on above the Metro ones. Beam No 48 became MTT No 139. In early years with the MTT, No 139 was refurbished and the timber framing was strengthened, but only with minor alterations to its appearance, most notably an enlarged front destination display. It was not fitted with a new steel body, unlike several similar buses that were 'upgraded' to extend the useful life of their chassis and engine. ​The third major change for MTT 139 occurred in January 1963 when it was leased to the Carilla Bus Service at a peppercorn rate to provide a MTT timetabled weekday service between Perth and the lightly populated Hills district around Pickering Brook. From Carilla, the route ran through Pickering Brook, Carmel, Bickley, Lesmurdie Hill, then along Welshpool Rd, Shepperton Rd and the Causeway to the City. The service passed through some of the most scenic and hilly bush land and orchards south of Kalamunda. In 1963 Carilla Bus Service was operated by Doug Waters, a former Beam driver. Two buses, garaged in Carmel, were needed to maintain the service. The leased bus left Carilla each weekday at 7.40am and left the City at 5.30pm. During the day, it laid over (parked up) in Terrace Rd, one of a long line of buses waiting for the evening peak period. 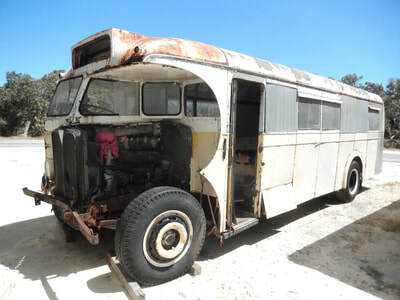 The second bus, an Austin Loadstar fitted with the body off an earlier MAN bonneted bus, acted as a spare and was used for a middle of the day shopping trip to Perth on Wednesdays and Thursdays. Rather than take over an uneconomic route, the MTT opted to provide Carilla with a bus suitable for regular scheduled running. MTT 139 was the second of three buses allocated to this duty, the first being Metro 37, a half cab Leyland Lion LT7c of 1935. Five years later, in December 1967, MTT 139 was replaced by ex-Beam 62 [MTT 141], another half cab AEC Regal III, and 139 was returned to the MTT. Yet, its time in Perth's Hills was not ended. On 14 February 1968, 139 / 48 passed to the Parkerville Children’s Home for use as a school bus. The welfare organisation was started in 1909 by Sister Kate on 18 acres of bush land as a home for waifs. Over the years, Mundaring and the Hills community were strongly supportive of the need for such a venture. A major benefactor was one of Perth’s wealthy early philanthropists, Walter Padbury, who himself had been orphaned at the age of eleven and left to the ruthless treatment of fellow settlers, sometimes mixed with mental cruelty. 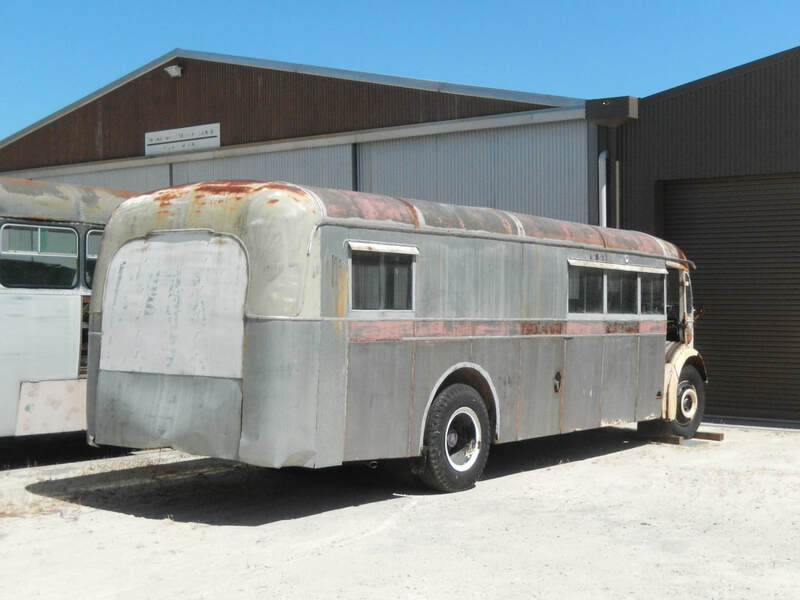 Former Beam 48 was eventually bought for conversion to a motor home and kept in the open under tarpaulins at a property in Glen Forrest. The conversion was only partly completed, however, and subsequently the bus was offered for sale 'as is'. Because of its historical significance, it was purchased by BPSWA on 17 October 2014 and brought on a tilt tray truck to the Society's workshop at Whiteman Park. It is currently the only authentic example of a Beam bus in the BPSWA’s collection. According to some contemporary reports, Beam 48 was an uncomfortable bus to drive. The steering wheel was set high and the driver’s seat had been lowered to allow the driver to see under the relatively low top of the windscreen. Tall drivers had to bend forward. Skill was needed when handling the sliding mesh (crash) gearbox. Changing gears required double declutching and practiced judgement was needed to match engine speed with road speed. A stop clutch was fitted which engaged in the mid range of depressing the clutch pedal, but seemingly few drivers were experienced in using it. In practice, the stop clutch was used mainly for changing from first to second gear when gathering speed on hills, otherwise it was bypassed. The lower power of the 7.7 litre AEC engine was satisfactory for keeping time on the flat but was demonstrably 'weak' when climbing the challenging gradients of Greenmount. At BPSWA, unfortunately Beam 48 is stored out of sight under a tarpaulin in the open, because of lack of covered space. Before the bus is ready for display to the public along with its story, the engine and drive train need to be overhauled, the body refurbished completely, seats fitted and the Beam livery reinstated. 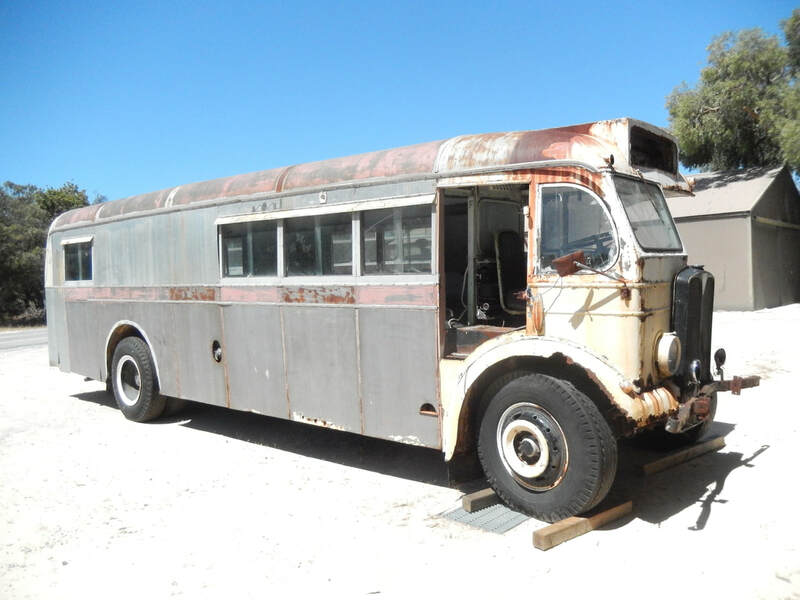 BPSWA hopes that, one day, Beam 48 will be available for display at venues from Mandurah to the Swan Valley, from Cottesloe Beach to Mundaring and Pickering Brook – the areas where it served with Beam, with the MTT, with Carilla Bus Service and as a school bus at Parkerville. 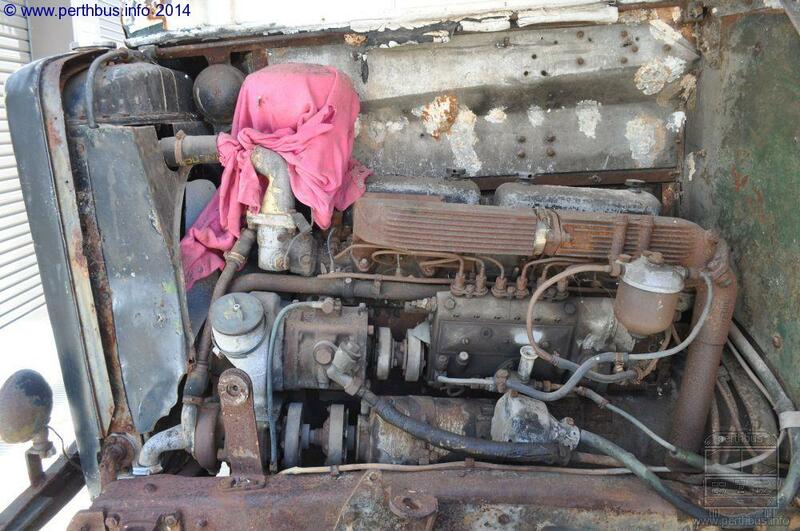 ​Engine: AEC A173 7.7 litre 95hp 6-cylinder diesel. Transmission: Constant Mesh (crash) gearbox. Manufacturer: Beam Body Shop Perth.